Athens County is credited with four Medal of Honor recipients during the War of the Rebellion. They are Jasper N. North, of Amesville, Co. D, 4th Virginia (USA) Infantry, received MOH for operation Forlorn Hope at Vicksburg; William M. Houlton, enlisted Athens County, Co. K, 22nd Ohio Volunteer Infantry, and enlisted Athens County, Field and Staff, 1st West Virginia Calvary, awarded MOH for capturing flag at Sailor’s Creek while with 1st W.Va; William E. Richey, born in Athens County, enlisted in Muskingum County, Co. A, 15th Ohio Volunteer Infantry, received MOH for capturing Confederate major at the Battle of Chickamauga; and Milton M. Holland, born in Texas, enlisted at Albany, Ohio, 127th Ohio Volunteer Infantry (Colored), later muster in as Sergeant, Co. C, 5th United States Colored Infantry, details of MOH below. The most famous of these, for a number of reasons, including his numerous groundbreaking post-war activities, is Holland. 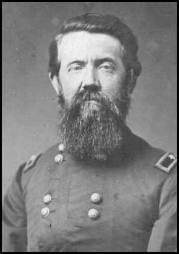 Mr. Holland was instrumental in raising what was to become Company C of the 5th United States Color Infantry (USCI). Recruits for this company were first mustered on part of what is now the Athens County Fairgrounds. An historical marker on this spot was dedicated on Veterans Day in 2013 — the 150th anniversary year of the raising of this company of gallant men of color from Southeastern Ohio. As a result of the gallantry, courage and leadership that Holland showed at Chaffin’s Farm, General Benjamin Butler awarded him a battlefield commission in the rank of captain, but because of his color the War Department later rescinded this promotion. In recent years there have been several attempts to correct this travesty by posthumously awarding him this commission. A few years ago a bill was introduced in the U.S. House of Representatives by Congressman Robert Ney (R-Ohio) to correct this historical wrong, but it died in committee in part because of the scandal in which Rep. Ney became embroiled. Steve Stivers (R-Ohio) has recently introduced a new bill for this same purpose. It is H.R. 3354. On Sat. 9/27/14 there will be a ceremony honoring Milton M. Holland, the first Texan to be awarded the Medal of Honor. It will take place on the south steps of the State Capitol betw. 1-3pm. It will include the presentation of the colors by Buffalo Soldiers re-enactors, a speech by Mayor Jackson of Prairie View on Sgt. Holland and a presentation of a plaque honoring Milton M. Holland. While doing research for this event, I visited Oakwood Cemetery in Austin. Bird Holland, the father, is buried there next to his wife, Matilda Rust Holland. He was killed at the Battle of Pleasant Hill (4/9/1864) as a Major of the 22nd Texas Infantry. In the “Colored Grounds A” of Oakwood, is buried William H. Holland, brother of Milton. He is the Father of Prairie View University since as a member of the 15th Legislature he introduced a bill for its establishment. He also served as in the 16th USCT. It was a touching moment since all I could find about the mother was than she was a slave women. But here I finally discovered her name & that she was a beloved mother. A remarkable woman with remarkable sons. Standing by her grave you can look up past the tree line of Oakwood and see the dome of the State Capitol. It was a moving experience. Thank you for your Round Table & for what you have done to preserve the memory of Sgt. M M Holland. “By honoring those who have served we honor those who do serve.” is the opening of the speech to be given on the south steps. It goes on to mention the last Texan to be awarded the Medal, Paul R. Smith – mortally wounded 4/4/2003. “We are here to honor the first Texan to be awarded the Medal of Honor, Sgt-Maj. Milton M. Holland. Superb presentation by Anthony Gibbs. God Bless Sergeant Major Milton Holland!